Spring is in the air! It seems like everywhere we look, people are outside, cleaning up yards, exercising, and enjoying a little warm weather. The Cherry Marketing Institute has put together a fabulous resource page about the muscle recovery benefits of tart cherries. That page can be found here. 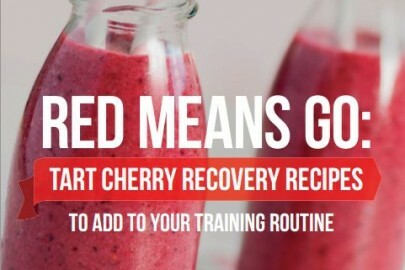 Make sure you scroll to the middle of the webpage and download the Tart Cherry Recovery Recipes booklet. In it, you will find great recipes for Cherry Good Oatmeal, Tart Cherry Recovery Gummies, Cherry Chocolate Chip Protein Bites, Cherry Revitalizer Smoothie, and Tart Cherry Mango Avocado Salad. The wonderful versatility of our fruit is on full display in that recipe book. Let us know if you use any of these recipes in your #runrecoverrepeat routine. Elite athletes, weekend warriors, and regular Joe’s are finding muscle recovery and health benefits from drinking tart cherry juice. In previous blog posts, we’ve shown you the sleep benefits of tart cherry juice and the muscle recovery benefits of tart cherry juice. Hopefully by now, you’ve tried our concentrate or cherry capsules for yourself. If you haven’t, now is the time! Our industry partners at www.choosecherries.com have started a 7 day tart cherry challenge. You can learn more about it by clicking this link, which contains incredible resources, recipes, and tips on how to consume the benefits of tart cherries. We are convinced that if you drink tart cherry juice or pop a couple of our cherry capsules twice a day, you will start to feel the benefits of our wonderful super fruit within 7 days! 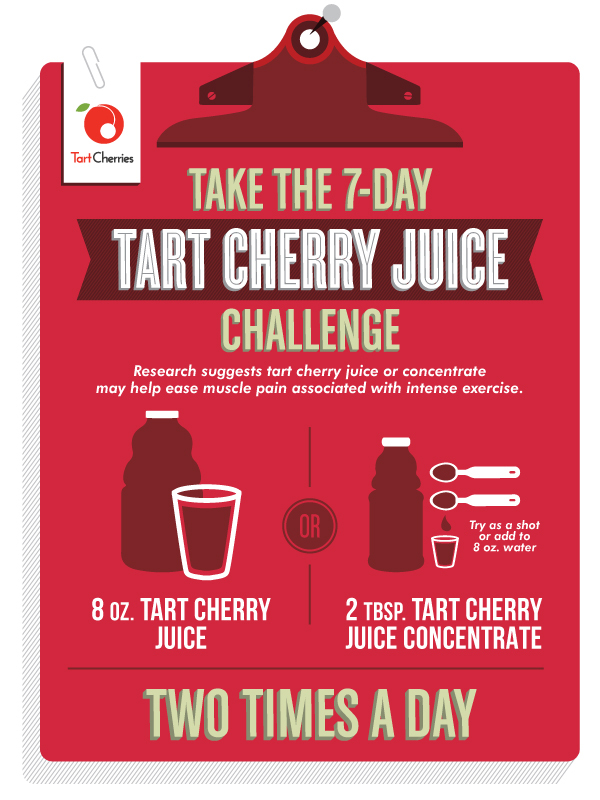 So give the 7 day tart cherry challenge a try. Let us know how it is going for you by leaving a comment below, or using the hashtag #runrecoverrepeat on your social media channels. Leelanau Fruit Company tart cherry concentrate and cherry Plus capsules are fast becoming a favorite training aid for fitness enthusiasts and runners alike. We’ve had a long winter in Northern Michigan, so to celebrate spring, we invite you to join our #runrecoverrepeat fitness community on Instagram and Facebook. Every time you use the hashtag #runrecoverrepeat, you will enter to win a Leelanau Fruit fitness package that includes a performance tee shirt, hat, and all the cherry products you’ll need to #runrecoverrepeat all summer long! The more posts you use #runrecoverrepeat on, the more times you’ll be entered to win. So, after your next run, post a picture of your recovery tart cherry juice drink. Add the hashtag #runrecoverrepeat. Are you a morning runner? Show us a pic of a beautiful sunrise on your run with #runrecoverrepeat. Love running with your dog? A pic with your pooch and #runrecoverrepeat- you are entered to win! The possibilities are endless. This community and contest isn’t limited to runners though. Do you love our concentrate for other reasons? Did you just have a great night’s sleep after drinking tart cherry concentrate the night before? Post your status or picture with #runrecoverrepeat and you’ll be entered to win too! Don’t forget to stock up on our cherry concentrate and capsules for the your training. We will choose a random winner of the hashtag contest on May 27, the day before many of us run the Bayshore Marathon. The winner will receive his or her LFC fitness package in time to train for and sign up for the National Cherry Festival of Races. Tell us below in the comment section what races you are training for this summer. We’d love to connect with you at some great Northern Michigan events this year! #runrecoverrepeat and you’ll be in the best shape of your life!